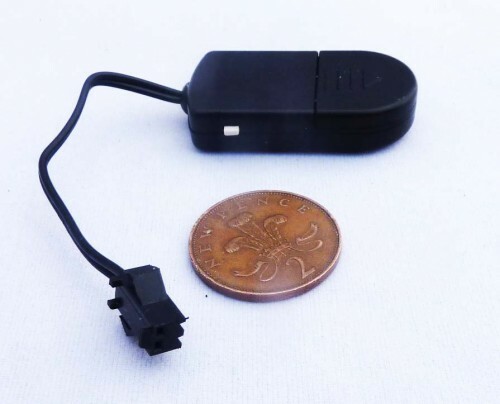 This tiny driver which runs on a single CR2032 coin battery and is just 15mm x 20mm x 35mm. Useful if you want the driver hidden away such as in a shoe, in hair or on a card. It can power up to 20 square cm of EL Panel so can only be used with the very small EL Tapes and Shapes.